Down to $140,000 Dave Vantine Gives You A Tour of the Quickest Motorcycle You Can Own! 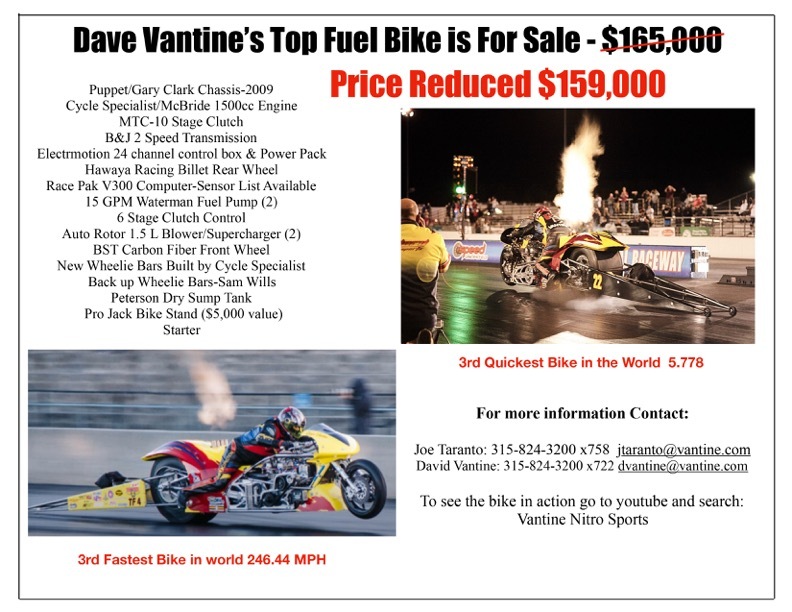 Update – Dave Vantine’s 5.77,”Yellow Bullet” Top Fuel Motorcycle has been reduced in price once again! It is almost unconscionable that one of the world’s quickest and fastest motorcycles can be had for this steal. Please spread the word. Vantine is now offering this amazing machine for the unreal, bargain blowout of $140,000. It’s a golden opportunity to own the championship-contending machine for about $100,000 less than it would cost to build. If you have ever dreamed of going nitro racing, now is your chance. Let’s keep this great machine competing in the United States if possible. There may never be a deal like this again! Vantine came a mere four points away from winning this season’s Man Cup Top Fuel championship. Clearly it’s a thoroughly proven machine! 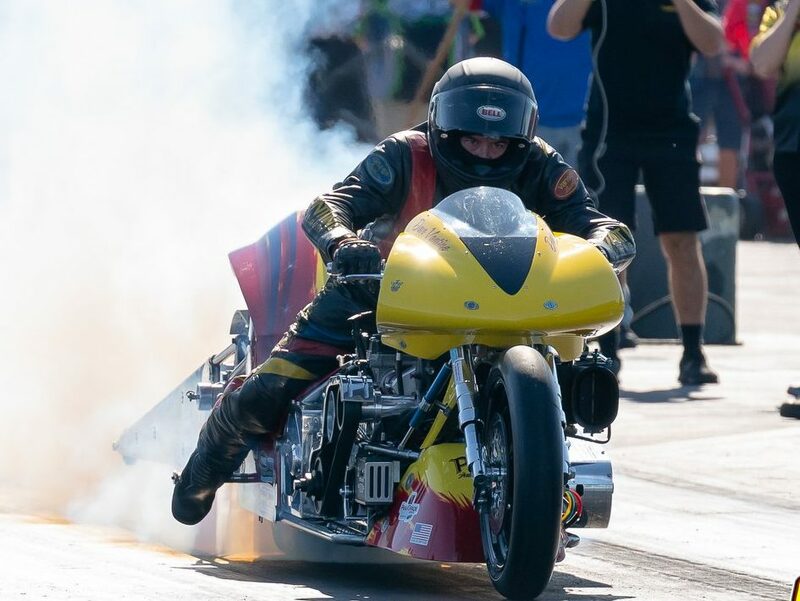 In this video the Top Fuel Motorcycle standout racer gives you a close look at his lighting-quick, nitro-breathing yellow bullet. Please share this incredibly rare opportunity to purchase one of the world’s quickest motorcycles with any speed freak you know! Email Dave Vantine at DVantine@vantine.com and mention this ad before this rocket is gone!